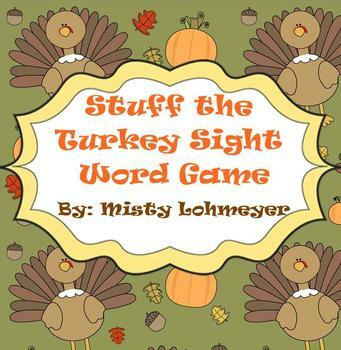 Motivate your students to read their sight words with this fun Thanksgiving smartboard game. 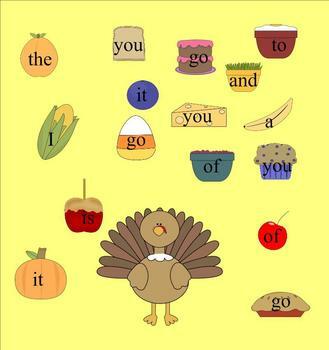 Students will read their sight words and then will feed the food to the turkey. 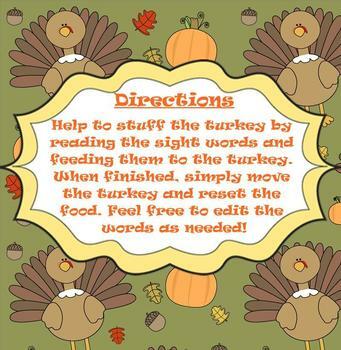 When finished, simply move the turkey and put the food back in place.This activity can be used as a whole group activity or during a learning center. Feel free to edit the words as needed. If you do edit the words, then you will need to add them to the activities tab. I would be happy to do this for you! Just let me know what words you would like and I will send you the updated version. This is a part of my holiday collection. Check out my download that contains a complete collection of smartboard games for the entire year! Thank you for looking! Please stop by and see my other products!